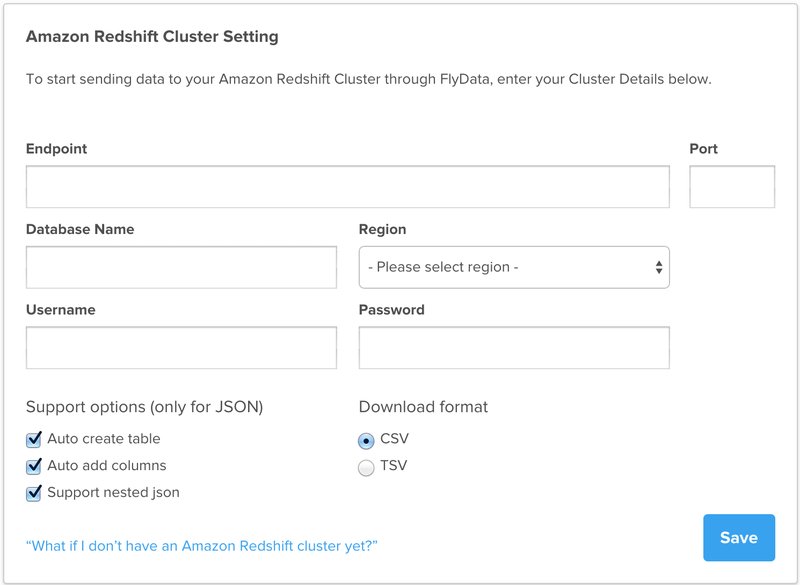 Provide FlyData with Amazon Redshift Settings – FlyData Inc.
Once on that page, click on Settings -> Amazon Redshift Cluster Setting. You will be asked to provide information about your Amazon Redshift account. The access information will be visible only to you and will be secure. The default settings for any optional settings should be fine to start.